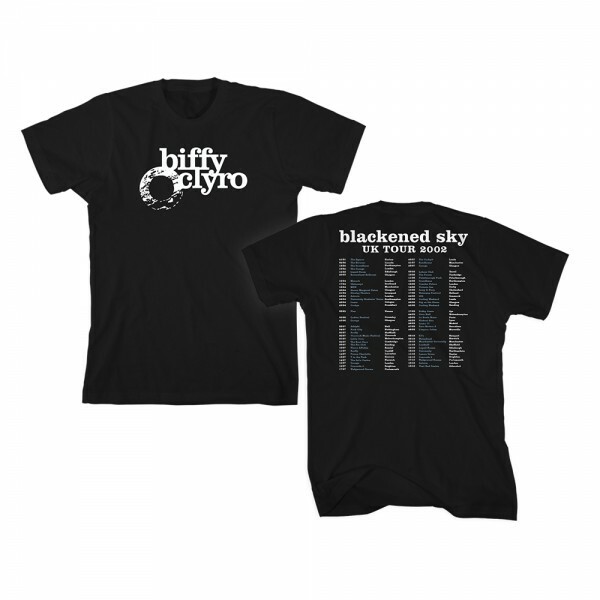 Blackened Sky Vintage Tour T-shirt. Celebrating the release of the ‘Blackened Sky’ album on the same day in 2002. Back print features historic 2002 tour dates. Vintage style T-shirt with soft feel print.